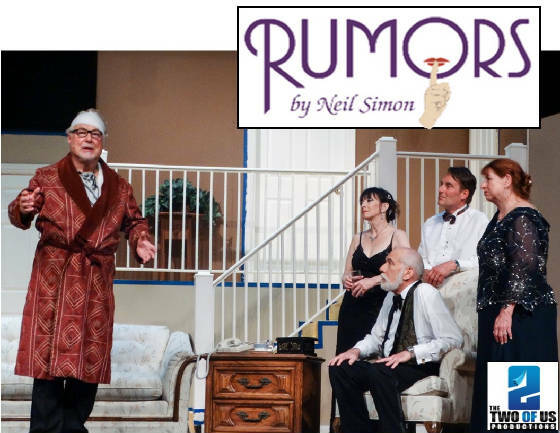 Spring 2017: RUMORS by Neil Simon. A hilarious comedy about what happens when "she tells him, who tells another, who tells another". You can see all the awards by visiting www.TANYS.org and looking for RUMORS by The Two Of Us Productions/RARE. The Two Of Us Productions is an affiliate of RARE (Roving Actors' Repertory Ensemble), a 501(c3) corporation registered in the State of New York. Copyright 2019 - RARE Inc.